Along with Kobe University (Japan), Functional Food Center is pleased to announce its 19th International Conference, "Functional and Medical Foods, Bioactive Compounds and Biomarkers: Longevity and Quality of Life". 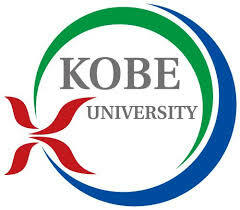 This will be held at Kobe University, Kobe, Japan, on November 17-18, 2015. The conference will bring together experts in medicine, biology, and the food industry to discuss the Functional Foods, Longevity and Quality of Life. 23. Carotenoids and human health: beta-carotene, lycopene, lutein, zeaxanthin, etc. The abstract submission deadline has been extended to September 29, 2015. The entire abstract should have a maximum of 650 words (up to three pages). There is no up-front fee for submitting a conference abstract. Failure to register with payment within 7 days of acceptance will result in an additional abstract publication fee of $49. First authors are expected to register, pay the conference fee, and present the paper (if the conference committee accepts their submission). In the case of an emergency and the author(s) are unable to attend the conference, they are required to pay an abstract publication fee of $99. Decisions on selection will be promptly communicated to the authors via e-mail. All contributions will be reviewed, and accepted abstracts will be published in the conference proceedings book. Please email your abstract as an attachment to ffc_usa@sbcglobal.net. 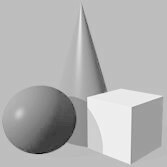 You can also see our sample abstract. There is no charge for the withdrawal of an abstract. In the case that the first author cannot attend the conference and present, he or she must contact the conference organizing committee by e-mail, at ffc_usa@sbcglobal.net, to provide notification of withdrawal or to request a substitute presenter. Withdrawals must be received before May 17th, 2015. Please note: Abstracts withdrawn after May 17th, 2015 will be published and the first author will be expected to pay the abstract publication fee. The conference provides neither financial support nor a registration fee waivers for any presentations. To avoid the last-minute rush, submit your abstract in advance. Abstracts received by the Conference Organizing Committee after September 29, 2015 at 5 pm will not be accepted. For any information concerning publications please contact us ffc_usa@sbcglobal.net. For more information about abstract submission, please click here. Poster presentations allow the audience to have a clear visual of the presenters' work in a simple format. A reasonable size for posters is 2.5 - 3.0 feet high by 3.5 - 4 feet wide. The poster should clearly present the title, the author(s), affiliation(s), and a description of the research, along with highlighting the abstract's major elements. Good use of color and black or dark blue for text. Too much color can be hard to read! 1 or 2 large high-quality photographs attract attention. Make the title large and clear! Include author(s) name(s) and address(es). Your poster title should be easily readable from a distance of 3 - 4 meters. The registration fee will cover the Conference Proceedings book (abstract book), lunches and refreshments for 2 days, in addition to a 12-month membership to the Academic Society for Functional Foods and Bioactive Compounds. 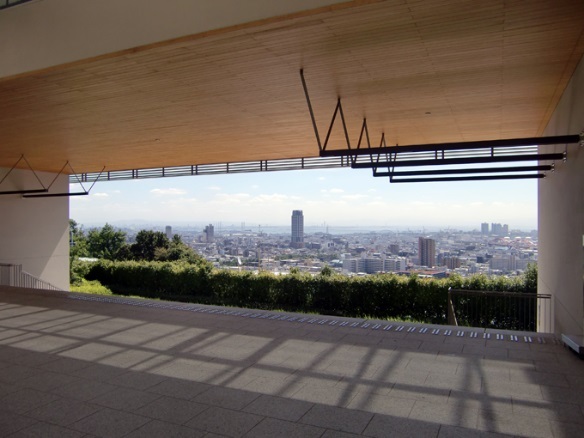 Also, we have scheduled a banquet at Takikawa Memorial Hall on November 17, which will be free of charge for the conference participants. Cancellation Policy: 75% refund two months before conference. 50% refund 45 days before conference. No refund one month before conference. Reimbursements will be sent after the conference. Notice of registration cancellation must be received in writing to the Conference Secretariat, at ffc_usa@sbcglobal.net. All refunds will be provided after the conference within 14 days. You can click here to make a payment for the conference registration fee. Hotel information: Ana Crowne Plaza Hotel, 1-Chome, Kitano-cho, Chuo-ku, Kobe, Hyogo-ken, 650 0002. For more information, please visit the venue and accommodation page. Conference Poster Presentations: Poster presentations give the audience a clear visual of the presenter's work in a simple format. A reasonable size for posters is 90 cm wide by 150 cm high. Please confirm your poster number on the list. The posters with odd number will be presented on Nov.17, and the posters with even number will be presented on Nov.18. Posters will be changed every day. Please help by taking your own poster down by 17:00. Posters still displayed after the removal time has passed will be disposed of by the secretary the following day. Equol-producing bacterium, Slackia sp. strain NATTS, for prevention of prostate cancer. Tomatidine suppresses osteoclast differentiation through MAPK/c-FOS/NFATc1 pathways in RAW264.7 cells. GADD34 works to suppress obesity and fatty acid-induced insulin resistance. Nitric-oxide inhibition and Anti-oxidant activity of Sangyod rice bran hydrolysates obtained by enzymatic hydrolysis. Curcumin modulates expression of drug-metabolizing enzymes through the AhR and Nrf2 pathways in HepG2 cells. We are pleased to announce that the 19th International Conference of Functional Food Center will be held from the 17th to the 18th of November, 2015 in Kobe, Japan. The concept of functional foods started in Japan during the 1980’s, and the Japanese government, known as “the Ministry of Health and Welfare”, established Food with Health Claims (FHC) in 2001. FHC originally consisted of Food for Specified Health Uses (FOSHU) and Food with Nutrient Function Claims (FNFC). FOUSHU is called “TOKUHO” (TOKUtei HOken-you shokuhin) and has become very popular for many Japanese consumers. Since then, new categories have been added, such as Qualified FOSHU, Standardized FOSHU and Reduction of Disease risk FOSHU. The development of laws regarding functional foods by Japanese government reflects great interests of Japanese people on “Food and Health”. The background in Japan enables us to develop high-level scientific research on functional foods. However, there are still several issues, including human safety and lack of scientific evidence. In addition to Japan, other countries developed the field of functional foods based on their science and established their own system. The international conference is a good opportunity to compare and discuss the systems of functional foods, and to share the recent knowledge on bioactive molecules. We believe it will lead to improvement of longevity and quality of life. On behalf of the organizing committee of the 19th International Conference of Functional Foods, I sincerely invite everyone interested in the field of Functional and Medical Foods to take part in this event, and to reserve extra time to enjoy Kobe and Japan. Kobe has a beautiful port and a special hot spring, called Arima, and is especially famous for Kobe beef. In addition, Kobe is very close to Kyoto and Osaka, which makes it a convenient location to enjoy Japanese culture and foods. I look forward to seeing each of you in Kobe. I wish to inform you about an excellent sponsorship opportunity for your company to gain high-quality exposure in the health food industry. Functional foods and bioactive compounds are currently receiving an increased amount of attention from the scientific community, as well as the public. The Functional Food Center’s 19th International Conference will be held at the Kobe University, Kobe, Japan. It will be timely in presenting new and relevant information focused on the importance of bioactive compounds and functional foods. 2) Your logo will be included in the conference website, promotional materials, and Functional Food Center’s bi-monthly newsletter, which is received by over 400,000 subscribers including scientists, medical doctors, nutritionists and dieticians. We are pleased to invite you to a conference in Kobe, Japan on November 17-18, 2015. The Functional Food Center, Kobe University, The Journal of Functional Foods in Health and Disease, Academic Society for Functional Foods and Bioactive Compounds would all be honored for you to join us at our conference. We will bring together experts in medicine, biology and the food industry to discuss the contribution of functional/medical foods and bioactive compounds in the prevention and management of chronic diseases. With over 300 expected participants, the conference provides a great opportunity to increase the visibility of your company and exhibit products and services to an international group of researchers, clinicians, post-docs and next-generation scientists. The Conference Organizing Committee is pleased to announce the 19th International Conference of FFC - 7th International Symposium of ASFFBC will be held at the Kobe University of Kobe, Japan on November 17-18, 2015. 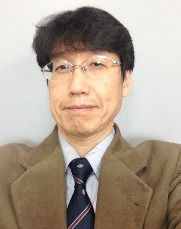 Co-chairman: Yasuhito Shirai, PhD, Professor, Graduate School of Agricultural Science, Department of Agrobioscience, Kobe University, Kobe, Japan. Co-chairman: Danik M. Martirosyan, PhD, President, Functional Food Center/Functional Food Institute; Editor-In-Chief, The Journal of Functional Foods in Health and Disease, Dallas, TX, USA. ***Your company’s logo will be included (and linked to your company website) in our bi-monthly Functional Foods in Health and Disease Journal newsletter. It has over 400,000 subscribers including scientists, medical doctors, dietitians and nutritionists. The logo will also be included in our newsletter for the Academic Society of Functional Foods and Bioactive Compounds, which has over 2,000 members. Name/logo will be included in every upcoming newsletter to more than 400,000 readers including medical doctors, scientists, etc. The sponsor is responsible for all materials, printing, customization and shipping-related costs associated with supplying the logo materials to FFC. 9:15-9:40 Pamela Starke-Reed, PhD, Deputy Administrator, Nutrition, Food Safety and Quality, USDA. Advances in the functional foods research at the USDA Agricultural Research Service (Invited Speaker). 16:55-17:15 Awards and Membership Certificates (Membership for Academic Society of Functional Foods and Bioactive Compounds). The Academic Society will award the book “Introduction to Functional Foods Science” to the best oral presenters. For more information about the conference, please contact us by e-mail at ffc_usa@sbcglobal.net.